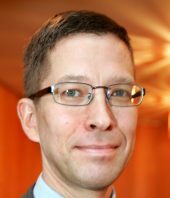 Stefan Parkvall is a Senior Expert at Ericsson Research working with 5G and future radio access. He is one of the key persons in the development of HSPA, LTE and NR radio access and has been deeply involved in 3GPP standardization for many years. Dr. Parkvall is a fellow of the IEEE and served as an IEEE Distinguished lecturer 2011-2012. He is co-author of the popular books “3G Evolution – HSPA and LTE for Mobile Broadband”, “HSPA evolution – the Fundamentals for Mobile Broadband”, “4G – LTE/LTE-Advanced for Mobile Broadband”, “4G, LTE Advanced Pro and the Road to 5G”, and “5G NR – The Next Generation Wireless Access”. Dr. Parkvall has more than 2000 patents in the area of mobile communication. In 2005, he received the Ericsson “Inventor of the Year” award, in 2009 the Swedish government’s Major Technical Award for contributions to the success of HSPA, and in 2014 he and Ericsson colleagues were among the finalists for the European Inventor Award for their contributions to LTE. Dr Parkvall holds a Ph.D. in electrical engineering from the Royal Institute of Technology (KTH) in Stockholm, Sweden. Previous positions include assistant professor in communication theory at KTH, and visiting researcher at University of California, San Diego, USA. With the completion of the first release (Rel-15) of the 3GPP 5G NR specifications, the research community should now direct its focus towards the next step in the evolution of wireless mobile communication. Similar to earlier generations, it can be expected that the next ten years will see a gradual evolution of NR, introducing new innovative technology components and further enhancing the capabilities and expanding the scope of 5G wireless access. This talk will give a high-level overview of 5G NR and its evolution, both in the next few releases as well as in the longer time perspective. Title: Why “one-size-fits-all” approach does not work anymore? Marcin Dryjanski received his M.Sc. degree in telecommunications from the Poznan University of Technology in Poland in June 2008. During the past 10 years, Marcin has served as R&D Engineer, Lead Researcher, R&D Consultant, Technical Trainer and Technical Leader. He has extensive experience in PHY/MAC/RRM/RAN design for systems like LTE/LTE-Advanced/LTE-Advanced Pro and 5G. He has been responsible for architecting software solutions and providing expert level training on LTE/LTE-Advanced, SON, Radio Interface design, MIMO, OFDMA, Radio and Core Network Protocols etc. The trainings have been provided to the leading mobile operators, vendors and research institutions all around the world including Saudi Arabia, Chile, the Netherlands, Sweden, Spain, Poland. Additionally, Marcin has been an active company’s representative and speaker at numerous conferences including Asilomar, Globecom, VTC, ICC, ISWCS, SON Conference, MWC, EUCNC, Crowncom, Wireless Innovation Forum and 5G-World. Marcin has been involved in 5G design since 2012 when he served as a work-package leader for EU-funded research projects aiming at radio interface design for 5G including 5GNOW and SOLDER and his IEEE status has been elevated to Senior IEEE Member in 2018. He co-authored a number of research articles, including IEEE magazines, targeting 5G radio interface design and LTE-Advanced Pro features. Marcin is a co-author of a book entitled “From LTE to LTE-Advanced Pro and 5G”, (M. Rahnema, M. Dryjanski, Artech House 2017). 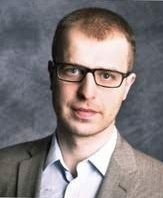 Between October 2014 and October 2017, he served as external contractor at Huawei Technologies Sweden AB providing both, an algorithm and architectural RAN design for LTE-Advanced Pro and 5G systems working on features like NB-IoT, Traffic Steering, 5G scheduler design, RAN functional framework and Radio Environment Maps. Marcin Dryjanski is the co-founder of Grandmetric, heading the field of wireless systems. In this role, Marcin provides consulting services and training courses on wireless’ related topics, and leads company’s wireless research on Grandmetric’s IoT platform “Souly”. The history of wireless systems shows that the technology has developed to serve a particular purpose (e.g. 2G for Voice, 4G for IP connectivity). On the other hand, the services are evolving as well, and this requires additional features to the existing systems to realize the dedicated aspect. As with the advent of 5G it has become obvious that the services that the network will have to cope with have different requirements, there are at least three possible ways to handle these requirements. First – we could get to a point where due to the fragmentation of the supporting technologies we would need to design separated systems to realize the requirements. Second, evolving the existing systems with “add-on” features to realize a particular function. Third, and the one discussed in this talk, is to provide a natively unified and hierarchical approach to the design of the system. To handle to the heterogeneity of: radio-access technologies (RATs), spectrum, devices, service mixes, features, we can create a framework being a hybrid mechanism, with the three main components: a unified upper-layer (independently handling the context from the underlying technology), an abstraction middle-layer (enabling an “easy” add-on of the below techniques), and a specialized lower-layer (to best serve a particular purpose). In this context, the “one-size fits all” is no longer true, as we should rather coordinate multiple features and technologies which are optimized for the specific requirements.